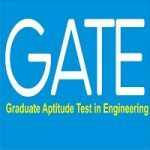 GATE is a national level entrance exam for admission to PG courses in the field of engineering and technology. It stands for Graduate Aptitude Test in Engineering. Through GATE score candidates can get admissions into M. Tech. / PhD programmes in IITs, IISc, IISERs and other reputed institutions. Every year, GATE is organized on the rotational basis by the seven zonal IITs and an IISc. Apart from granting admission, the score of gate exam is also considered as one of the criteria for recruitment to government and private organizations working in technical fields. 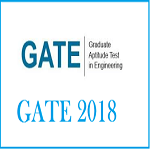 This year GATE is organized by IIT Madras and Application starts from 1st September 2018. GATE 2019 Notification has released. The Application Process will be started from 1st September 2018. Click Here to Register for GATE 2019. GATE registration 2019 will be started on the 1st week of September 2018. All the candidates have to apply online only. The registration will end in the first week of October 2018. The authority will provide a period of approx one month for the application process. Aspirants have to fill GATE 2019 application form through the GATE Online Application Processing System (GOAPS). Application Procedure for international candidates is the same as Indians. International candidates must possess a valid passport to apply. Candidates can pay the application fee via Net banking, debit card or e-challan. GATE 2019 is held for total of 23 papers. Students are required to enter the real number in Numerical Answer Type Questions with the help of a virtual keypad. The successfully registered candidates will be able to download the GATE 2019 admit card on 4th January 2019. It is expected that the exam will end in the second week of February 2019. The answer key will be released by the authority after the completion of the exam. The authority will provide the answer key separately for each discipline. Answer key challenge facility will also open on payment of a nominal fee. GATE 2019 result will be published on the GOAPS portal of the GATE website. The result is likely to be announced on 17th March 2019. After the declaration of result, GATE Scorecards will be available for the candidates who secure marks equal to or more than the cut-off marks. The qualified candidates are provided with a GATE scorecard which has the validity of three years from the date of announcement of result. GATE 2019 scorecard reflects the candidate’s performance in entrance test. The facility to download the scorecard will be available from the last week of March 2019. GATE Cut off marks will decide the candidate’s eligibility for admission to IITs and IISc. It is the factor which decides whether a candidate is qualified for the exam or not. GATE 2019 cut off marks varies stream-wise and category-wise. The cut-off marks for reserved category candidates are primarily low than the unreserved category candidates. For providing admission to PG courses, no common counseling will be conducted by IITs. Students have to apply individually to the IITs when the admission notification will be released. It is the common counseling conducted by NITs every year. However, the students can download the official PDF of GATE 2019 syllabus for PE, PH, PI, CE, CH, CS, CY, EC, EE, EY, AE, AG, AR, BT, XE, GG, IN, MA, ME, MN, MT, TF, and XL. My b.e passout is 2015. Am i eligible to apply for gate 2019.i humbly request u to plz rply me. I have passed B.Sc in Pure Sc. Pass 3 years from Calcutta University and passed M.Sc in applied mathematics from Netaji Subhas Open University.Am I eligible for GATE 2019 and is there any age limit? Kindly inform me. I have passed B.Sc in Pure Sc. 3 years from Calcutta University and M.Sc in applied mathematics from Netaji Subhas Open University.Am I eligible for GATE 2019 and is there any age limit?Kindly inform me. is calculator allowed for gate 2019 in examination hall? I m Final (third) year student of B. Sc. From computer science , can I give GATE? I m Final (third) year student of B. Sc. From computer science, can I give GATE? because u gave admit card download date on 4th jan and exam from 2nd jan… !! can i have to produce any permission letter from principal or i can put my last mark sheet . ?